Defense attorney Steve Haney says Christian Dawkins, above, had a “very close relationship” with Arizona’s Sean Miller. Sean Miller calls a play during the second half of the Arizona Wildcats vs. Washington State men’s college basketball game, Feb. 9, 2019, at McKale Center in Tucson. NCAA President Mark Emmert answers questions at a news conference at the men’s basketball Final Four, Thursday, April 4, 2019, in Minneapolis. When the Arizona Board of Regents exited a closed-door meeting involving “legal advice and discussion about Arizona basketball” on Friday, they kept one eye firmly on a riveting legal Ping-Pong match playing out in New York. That’s where a final answer to the UA’s off-court basketball saga could ultimately come to fruition. In the Southern District of New York’s U.S. District Court, defense attorneys in the upcoming federal bribery trial have filed two motions to allow testimony from coaches not charged with crimes, with the prosecution filing twice to disallow it. The defense’s motions have countered that the additional evidence and testimony is necessary to show the “state of mind” Dawkins was operating under when he was accused of bribing assistant coaches in order to get them to steer players to Dawkins’ agency. While the bribery trial doesn’t start until April 22, a federal judge is expected to rule beforehand on whether such evidence and/or testimony will be allowed, and the scope of it. Essentially, it’s the trial before the trial. UA coach Sean Miller and LSU’s Will Wade have reportedly been subpoenaed for the trial, and UA president Robert Robbins said during regent meetings that he wasn’t sure if Miller would be taking the stand or not. “Everybody’s just awaiting further development of the facts,” regent Jay Heiler said. So while everybody is waiting, maybe it’s time to take a look at how things moved here in the first place. While attorneys for Dawkins and Code have not responded to messages from the Star, other attorneys offered input in answering some of the most “frequently asked questions” about Arizona’s involvement in the federal proceedings. Weren’t Dawkins and Code already convicted? Yes. Dawkins, Code and Adidas executive James Gatto were convicted on fraud charges in October 2018, with a jury agreeing that they essentially defrauded schools by paying the families of recruits to ensure they signed with Adidas-sponsored schools, and later would sign with Adidas and Dawkins’ agency as pros. The case centered around the argument that because the players had accepted money, they arrived at their colleges while technically ineligible, thus defrauding the schools. However, this month’s trial is based on separate bribery charges, for money Dawkins and Code allegedly gave to assistant basketball coaches that they could use to lure recruits, in exchange for later steering players to them professionally. Didn’t Book Richardson already settle this? Yes. 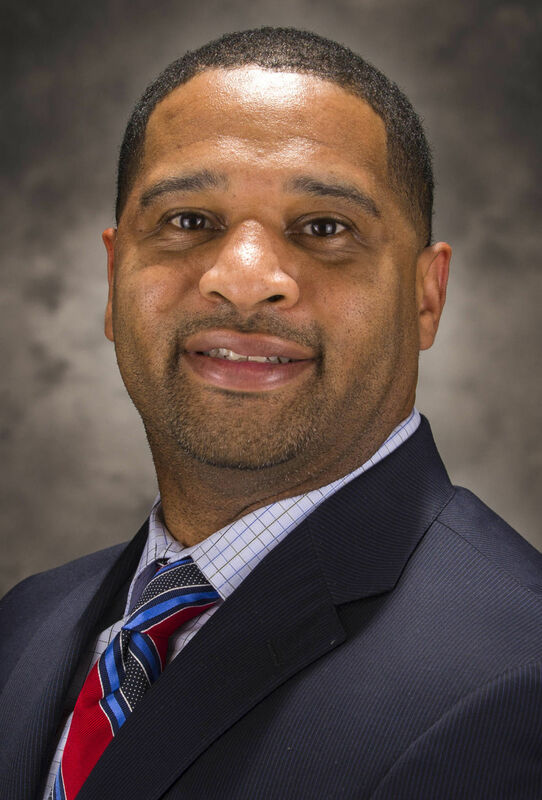 The former UA assistant coach was scheduled to be a part of this month’s trial, but he and two other former assistant coaches — Tony Bland of USC and Lamont Evans of Oklahoma State — all accepted plea agreements. Richardson’s attorney, Criag Mordock, said he didn’t think the result of the upcoming trial would affect Richardson’s sentencing either way. If Sean Miller was charged, and the feds had anything on him, wouldn’t it have already come out? Why was he subpoenaed? Miller has not been charged with any federal crimes and, even if he was found in violation of NCAA rules based on the evidence federal investigators found, that isn’t necessarily pertinent to this case. That’s one reason prosecutors are arguing against having uncharged coaches such as Miller be allowed to testify. However, Dawkins’ attorney reportedly subpoenaed Miller and Wade for the purpose of showing context around Dawkins’ actions. Brown said the fact that prosecutors are trying to block the coaches from testifying indicates they believe the defense does have tapes and/or witnesses that can show NCAA violations. Citing “sources familiar with the government’s evidence,” ESPN reported in February 2018 that Miller discussed paying former UA star Deandre Ayton $100,000 on a conversation with Dawkins that was captured by FBI wiretap. The defense says it is proposing “less than an hour of audio recordings along with a small number of text messages,” but it is not clear what those recordings contain. The defense motion lists 11 statements “offered to disprove the state of mind required for a conviction,” but all of them are redacted and only readable by the judge. In the October trial, Adidas consultant T.J. Gassnola said he gave a family friend of Ayton’s $15,000 in an effort to steer him toward Adidas-sponsored Kansas. Attorney Michael Avenatti recently released records he says prove that Nike paid Ayton’s mother $10,000 and a handler of Ayton’s $28,000. Did Phelps’ removal have anything to do with this? UA says it did not. The school moved to fire Phelps in February for breaking an NCAA rule it said did not involve the federal proceedings, though it is possible that Phelps’ activity was discovered by the law firms UA has hired to review the basketball program in the wake of Richardson’s arrest. Brown said the fact that Arizona spent so much money, and didn’t take action other than removing an assistant coach, suggested the attorneys’ review probably didn’t find anything more significant with NCAA rules. “Maybe something will come out,” Brown said. “We don’t know what will come out of this trial so maybe we shouldn’t speculate, but most schools if they found something serious and spent all that money, they would have acted” more dramatically. Maybe now the federal trial spins off another piece of evidence that the NCAA and UA will have to process. Maybe it doesn’t. Maybe federal prosecutors succeed in keeping additional coaches off the stand later this month. Maybe they don’t. It’s been almost 19 months now since the federal investigation into college basketball became public, and questions still remain. ABOR held a closed-door meeting to discuss "legal advice" in advance of a federal trial that could include Sean Miller.